Soft Scribe Private Limited, founded in 2005, is the Indian arm of Soft Scribe LLC based in Virginia. The Company provides services to clients in the US in the areas of Bookkeeping and Accounting, Digital Marketing, Audio Transcription and Data Analytics. 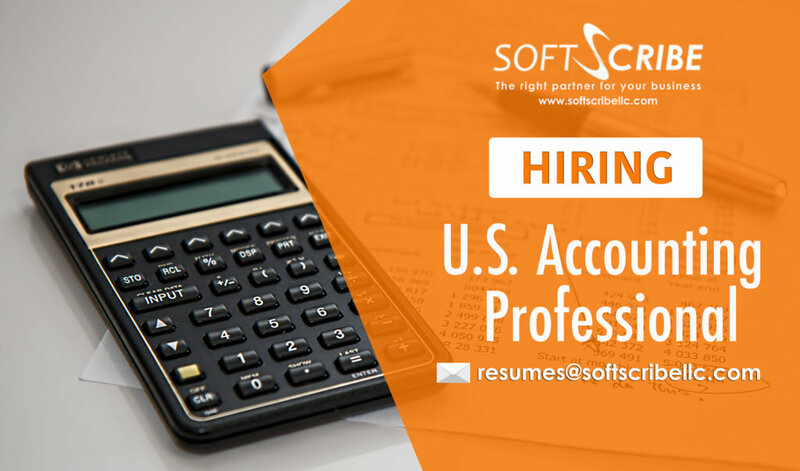 We are looking out for Accounting professionals who can independently handle all aspects of accounts for our US clients and interact directly with them. Assisting in preparation of audit reports. Com/M.com Graduate with 2-5 years of experience in managing US accounts. Hands-on experience in overseas accounting software such as Quick Books, Peachtree, CS Professional suite etc. Excellent command over spoken and written English language. The candidate is expected to work closely with the US client to build client relationships. Consistently deliver quality client services and take charge of the project area assigned to him/her and meet the stipulated deadlines. Display great leadership traits and acumen to adapt to new work environments and be a team player. Interested candidates, please send us your resume to resumes@softscribellc.com.